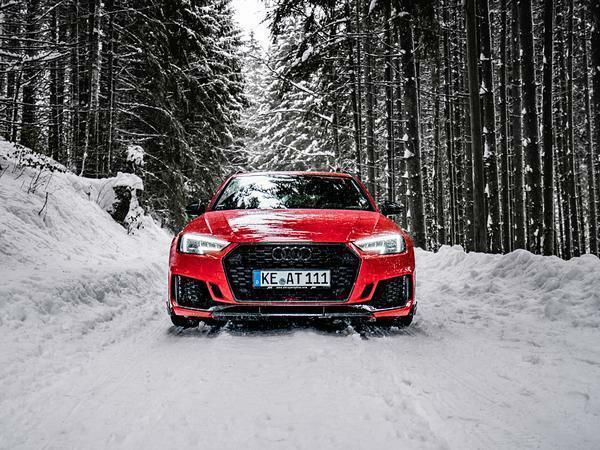 Abt sold all its RS4-Rs, so here's another chance to buy one! What's better than a fast Audi? A faster fast Audi, of course, a niche that Abt has been happily occupying for a good while now. 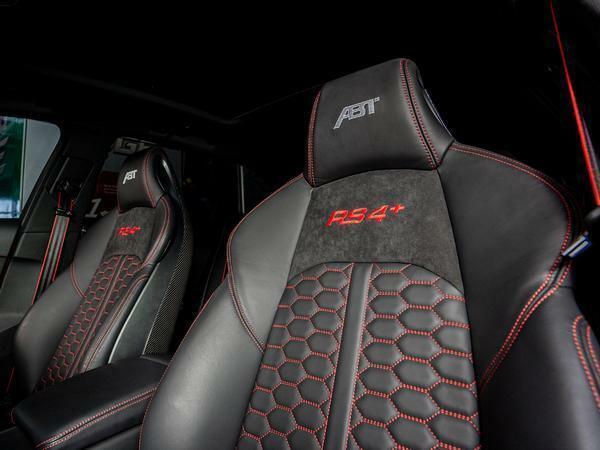 Indeed they're probably happier than ever, given the 510hp RS4-Rs launched at the Geneva show last year all sold out. Consequently Abt are making some more, this time under an 'RS4+' billing - much like its RS6+ of a little while back. And not to be confused with the Audi RS Plus models of not long back, and the current R8 Plus. 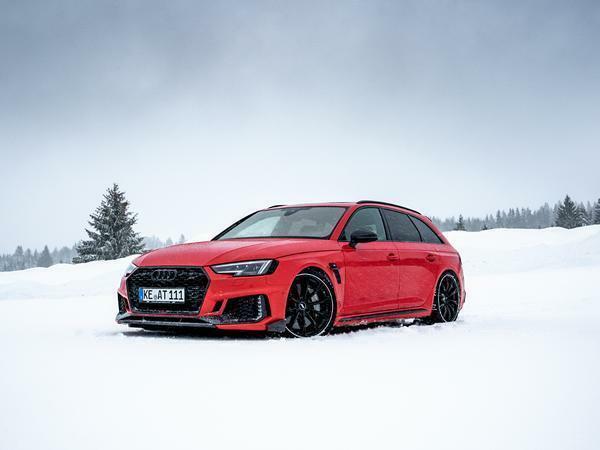 Like the RS4-R, the RS4+ has been tickled to 510hp through a bespoke ECU module, with the option of 530hp via the Abt Power S power boost. Torque is rated at 501lb ft, resulting in a sub-four-second sprint to 62mph and - it would have to be assumed - a top speed knocking on the door of 190mph if the limiter is removed. 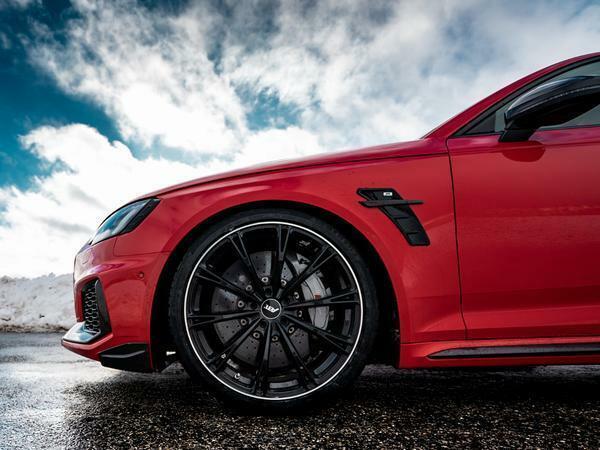 As with the R, the Plus features a range of modifications to make it that bit sharper to drive than standard, as well as faster. 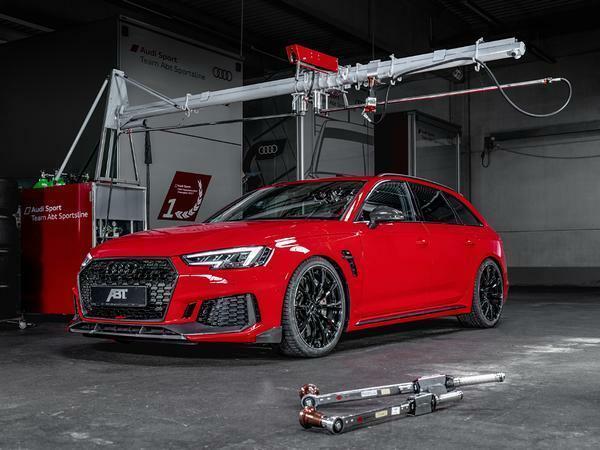 Abt's own height adjustable suspension and anti-roll bars are fitted, and it would have to be hoped that these 20-inch wheels might be a little lighter than standard. The quadrumvirate of 102mm exhaust pipes aren't said to contribute anything beyond some more twin-turbo V6 racket, but they do look quite cool. Indeed the whole RS4+ look is rather appealing, it being lower and meaner than the rather handsome standard car. Of course being so low throws up its own usability issues for a car that's ostensibly a five-seat family estate, and naturally you'd want a lengthy go before buying, but to hell with it - this Audi looks great. literally no point in the UK, it will be nicked in a week. Yes. Please. The dogs faces will look great compressed up against that back window.